ASSBA Ltd is committed to safeguarding your privacy online. ASSBA Ltd has created this privacy statement in order to demonstrate our firm commitment to privacy. 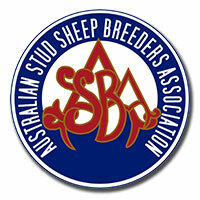 The following discloses our information gathering and dissemination practices for www.assba.com.au. ASSBA Ltd does not collect personally identifiable information about individuals except when such individuals specifically provide such information on a voluntary basis. For example, such personally identifiable information may be gathered from the registration process for subscription or services and in connection with content submissions, community postings (e.g., forums), suggestions and transactional areas. Upon request, we will allow any user to "opt out" of further promotional contacts at any time. Additionally upon request, we will use reasonable efforts to allow users to update/correct personal information previously submitted which the user states is erroneous to the extent such activities will not compromise privacy or security interests. Also, upon a user's request, we will use commercially reasonable efforts to functionally delete the user and his or her personal information from its database; however, it may be impossible to delete a user's entry without some residual information because of backups and records of deletions. Access to the database containing personal information is restricted to ASSBA Ltd staff members with direct responsibility for customer service or management of the website. Authorised staff members are not allowed to pass on information about members to non-authorised staff without the express permission of the Managing Director. ASSBA Ltd reserves the right to change this policy at any time by notifying users of the existence of a new privacy statement. This statement and the policies outlined herein are not intended to and do not create any contractual or other legal rights in or on behalf of any party. 3. You can Log on to the site and update your personal details (unclicking the Receive Email Information) in the Update Profile .